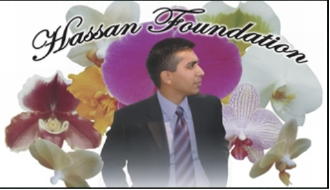 Hassan Foundation is a 501(c)(3) tax-exempt charitable organization. It stands apart from others, in that, it is run exclusively by volunteers and therefore bears no administrative costs. All donated funds are used only towards the funding of our charitable projects. Hassan Foundation’s main objective is to provide clean potable water for communities that lack access to clean water. People living in most of Pakistan’s rural areas, do not have access to clean potable water, as a result Water-borne diseases account for 60% of all hospital admissions in Pakistan. 25000 children, under the age of five, die every year as a result of exposure to these contaminated waters. Both women and children walk long distances, to collect water, which is typically the source of disease, and at times, the cause of death, especially in children. Surface water, is a common source of drinking water shared by both humans and animals in the area. This may either be rain run-off or irrigation canal water. People living along canals upstream discharge their raw sewage into the water. This water, is subsequently, collected downstream by people for human consumption. People, who can afford it, spend a considerable portion of their income on buying clean drinking water. For additional information about Hassan Foundation, visit our FAQ page.